With the continued danger of flooding from the Rewa River, SOPAC, through its Pacific HYCOS project has funded the installation of an ‘upgraded’ Flood Forecasting and Warning system to provide adequate time for those living downstream to take necessary precautions. 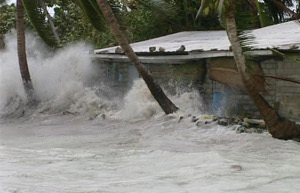 Flooding is an ongoing danger affecting Fiji with an average of 10 casualties and close to $20 million in direct damage every year to infrastructure, agriculture and homes; it also is a major interruption to, transportation and inland communications as well as tourism that was seriously affected in 2008, according to HYCOS Project Coordinator Llyod Smith. 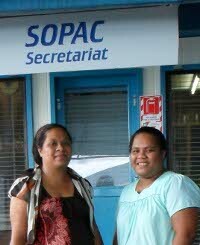 SOPAC has received a grant from The Asia Foundation of US$1,059,696, over three years, in support of the SOPAC’s Disaster Reduction Programme. At the signing of the Letter of Agreement and Project Document, SOPAC Director, Dr Russell Howorth, said that the grant would enable SOPAC to further develop its leadership role in disaster risk management training for Pacific island countries, as well as strengthen SOPAC’s support to its island Members in disaster risk reduction capacity building. Launched at the fifth Pacific Disaster Risk Management Partnership Network meeting, this requirement for the portal’s success is being met. Of the 300-plus project information records in the DRR Projects Portal, more than 170 relate to the Pacific, and cover initiatives and activities of the Pacific Disaster Risk Management Partnership Network. “This work is part of the regional technical support and assistance that SOPAC has been providing to member countries for their work on maritime boundaries initiatives, especially for bilateral negotiations of shared Exclusive Economic Zones (EEZs) between neighbouring and adjacent states,” said Ms Emily Artack, SOPAC’s Project Officer, Maritime Boundaries Project. Ms Artack was commenting on her recent visit to Kiritimati (Christmas) Island in the Line Island Group, Kiribati, where, at the request of the Kiribati Government, she worked with a team of government surveyors and fisheries officers, to assist with the high accuracy Global Positioning System (GPS) survey of the baseline from which Kiribati’s maritime limits are to be calculated. Welcome to August issue of Snapshots! 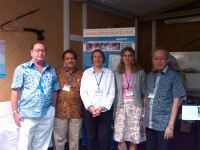 We’ve just completed a very useful and rewarding series of meetings under the Pacific Platform for DRM 2010. This year the Platform consisted of the 16th Regional Disaster Managers Meeting (which took the form of a professional development workshop for the disaster managers) and the 5th Annual Meeting of the Pacific DRM Partnership Network. Many of the participants to both meetings expressed their gratitude and satisfaction with the opportunity to exchange ideas and to learn of the many happenings in DRM around the Pacific as well as globally. Presentations from partner organisations from the Caribbean added to the rich diversity of the exchanges that took place. One of the important parts of the meeting was the opportunity afforded to SOPAC to share its Strategic Plan with regional disaster managers. We look forward to their feedback to value add to the current draft. This will be presented to the SOPAC Governing Council for endorsement in October 2010. Almost 52% of nearly 10 million people living in the Pacific island countries continue to face threats from unsafe drinking water resulting from water-borne diseases. Unsafe drinking water has been the primary cause for the 2800 deaths per year (most our children under the age of 5) from diarrhoea and related illnesses, and poor sanitation and hygiene are major contributing factors. Additionally periods of drought that is currently being experienced in many island countries have aggravated the situation.SOPAC, working with the World Health Organization has introduced a plan into the region that has shown positive results in combating water carrying diseases. “It’s no miracle drug, but a common sense approach to educate people throughout the region of how to determine if their drinking water is safe, how to clean it, and protect it so that that there is no danger that the water can continue to cause illness,” said SOPAC Director, Dr Russell Howorth. 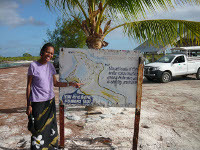 As a part of the Kiribati Government’s commitment to achieving sustainable land management on Kiritimati Atoll, (Christmas Island), staff of the Environmental Division recently undertook training conducted by the Pacific Islands Applied Geoscience Commission (SOPAC), in Global Positioning Systems (GPS) and Geographic Information Systems (GIS). Ms Bebe explained that Global Positioning Systems (GPS) use information gathered from satellites circling the earth to locate the correct co-ordinates of any location, while Geographic Information Systems (GIS) combine maps and data to manage, store, analyze and display all forms of geographical information. 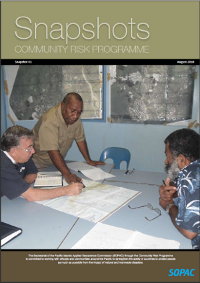 SOPAC is carrying out a review of the Kiribati national disaster risk management governance arrangements following a request from the Office of the President. 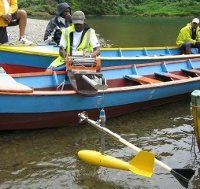 SOPAC provides assistance to 19 countries and territories in the Pacific region through applied geoscience and technology. A major part of the review was a three-day workshop attended by 29 participants from Government ministries, Non-Government (NGOs) as well as church organizations that was held in Tarawa recently. A delegation from the Caribbean that represented four Disaster Risk Management organizations recently visited SOPAC for a briefing to better understand the range of services and products that it provides the 19 countries and territories in the Pacific region through applied geoscience and technology. 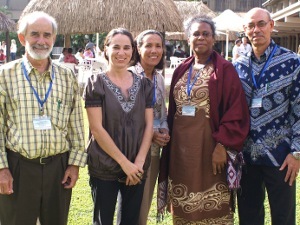 The delegation was in Fiji to share their experiences with their Pacific counterparts as part of a South-South cooperation project between Pacific and Small Island Developing States on Climate Change Adaption and Disaster Risk Management funded through and in collaboration with the UNDP Pacific Centre. At a luncheon hosted by SOPAC they were briefed by its Director, Dr. Russell Howorth, and representatives from the organization’s three programmes, Ocean and Islands, Water and Sanitation and Disaster Reduction as well as Natural Resources Economics. The Pacific Community’s (SPC) Geoscience Division is being bestowed the Asia Geospatial Excellence Award for Disaster Management by Geosmart Asia, a leading conference and exhibition for the Asia-Pacific region showcasing the capabilities of geospatial technologies for national development and industry growth. The award recognizes exemplary innovation and practices in geospatial information and technology in the Asia-Pacific region. “The Pacific region is prone to the vagaries of nature and geospatial information has proven to play a significant role in preparedness and mitigating losses. In such a scenario, the vision and initiatives of SPC’s Geoscience Division to promote geospatial information for safeguarding the region are commendable,” Geosmart Asia Pacific Vice President, Prashant Joshi said, in announcing the accolade.